Regina grew up in Everett, WA (pretty local!) and went to UW for her undergraduate education as well. She knows she is lucky to have been in this beautiful area all her life and to have almost all of her wonderful extended family here. She moved back down south to Seattle from Skagit County to begin her masters program, though she still works for Skagit Land Trust. She loves skiing, hiking, camping, road tripping or otherwise traveling and exploring, botanizing, cooking and baking, playing board games, brewing beer and reading sci-fi and fantasy. When Regina has free time, she likes to spend some of it at her family’s tree farm on the Kitsap Peninsula. As an undergraduate, she double-majored in two amazing UW programs – Community, Environment and Planning (CEP) and Comparative History of Ideas (CHID). She minored in Program on the Environment and Architecture (she states “obviously, I had some trouble focusing on just one interdisciplinary field!”). She loved so many of her classes, especially the core CEP classes that covered everything from concepts of community to social processes and place based education. Old Growth Forest Management with Jerry Franklin was one of the most engaging non-CEP classes she took during undergrad years, though her thought-provoking Love and Attraction CHID thesis seminar with Philip Thurtle was right up there. As a graduate student, she had many more classes that were truly enjoyable. 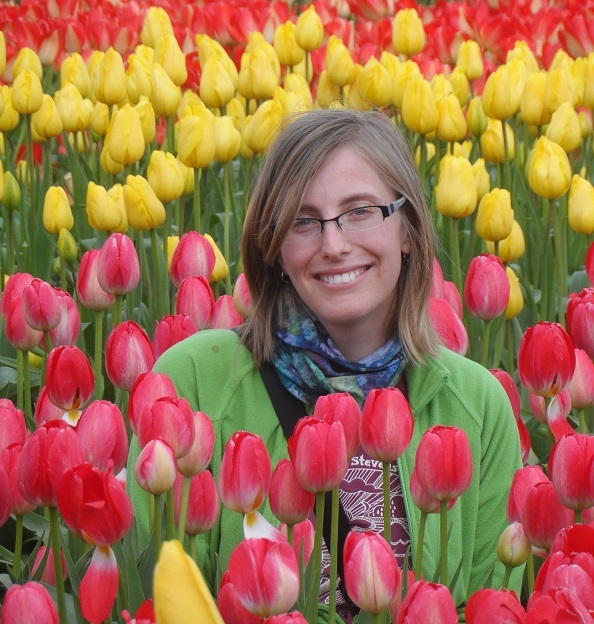 She thinks Plant Ecophysiology, with Hannah Kinmonth-Schultz, was very challenging, worthwhile, and found herself going back to the concepts covered again and again. Regina volunteered as a class monitor during her first quarter of graduate school, and ended up deciding to take on the UW Botanic Gardens research project after talking with Jessica Farmer, Adult Education Supervisor. As a student, she has classes which use the UW Botanic Gardens as an outdoor learning space – for example, a spring plant identification class regularly met in the Washington Park Arboretum. The buildings that classes meet in within the UW Botanic Gardens are some of the nicest, greenest spots on campus to spend time in learning. She also uses the botanic gardens as a personal space to relax from the stresses of balancing graduate school and a job, walking the trails or canoeing along the shoreline. For her project, she primarily works with UW Botanic Gardens staff and other engaged restoration professionals throughout the greater Seattle area. It has been a great way to continue learning about the restoration field and discuss topics of interest within the local and larger community. There are so many beautiful spaces to choose from at UW Botanic Gardens! Since it’s sunny, she has to say her current favorite spot is the swimming beach at Foster Island in the Arboretum – there’s not a nicer spot to jump in anywhere in Seattle! She also loves the portion of the Arboretum to the south of the Visitors Center filled with pine trees – there’s something wonderfully soothing about walking over a carpet of needles even when she can’t make it over to Eastern Washington for a visit. Regina’s favorite plant is the Deer Fern (Blechnum spicant). She loves how the delicate looking, striking fronds stand up or lay flat, radiating out on the ground around it, and how the frond ends spiral in. It’s not everywhere around here like sword ferns, and she has always associated it with camping on the Olympic Peninsula as a child. Now she finds it in hidden corners of Western Washington tucked underneath more obvious canopy species, and always takes a minute to stop and appreciate it.